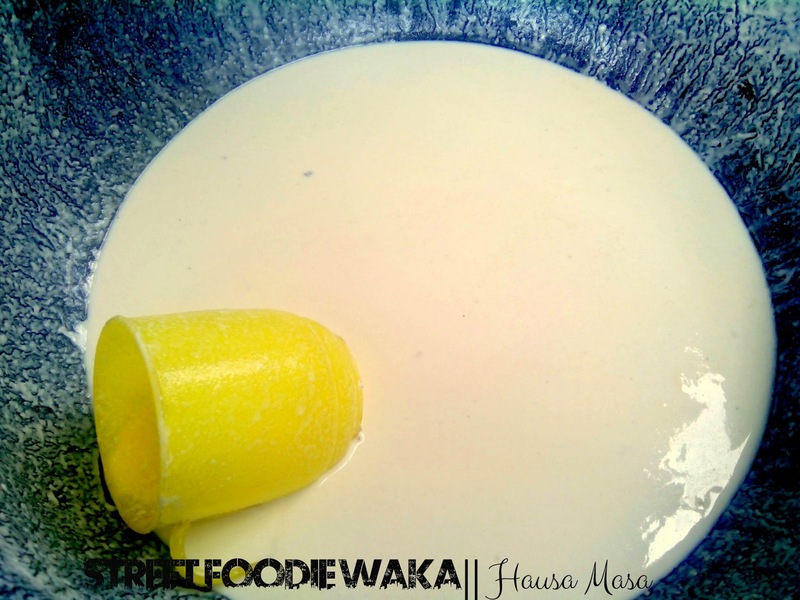 Hausa masa is a very popular snack in the northern part of Nigeria. As early as 7am, the vendor always had hot balls of masa ready for hungry customers. As I watched from the side, I couldn’t help but marvel at her level of expertise. 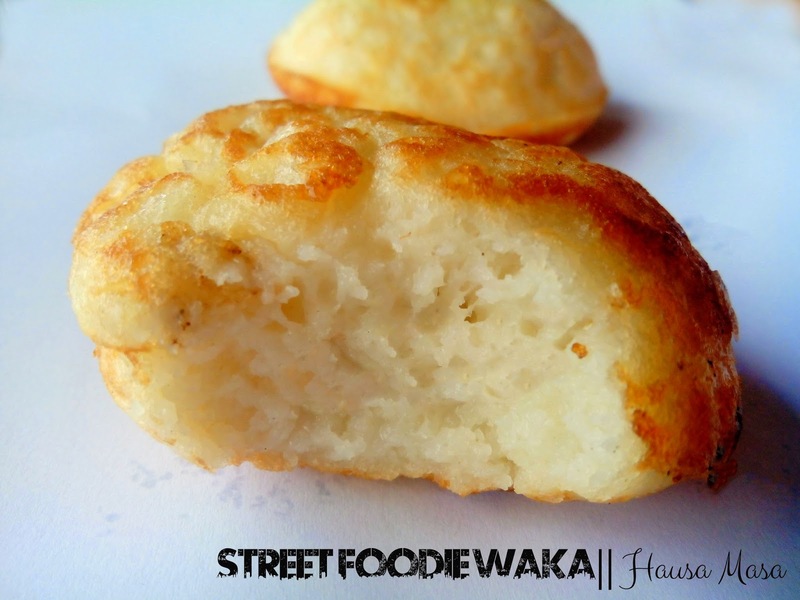 Masa reminds me of puff puff though the batter is made slightly watery unlikepuff puff batter and not as sweet as puff puff. It’s prepared in such a way that, as you are removing a batch from the pan you are also adding a new set into the pan due to the uncontrollable heat from the firewood burner. 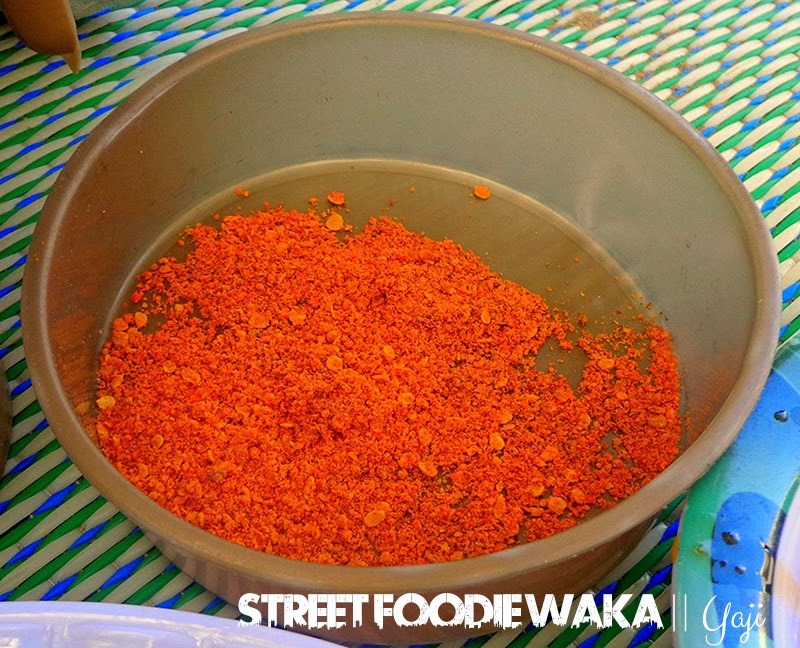 The rice usually used for this meal is the type used for tuwo known locally as sinasir (very white in color with broken rice particles, sold mostly by Hausa vendors, soaks up water when cooked). From my perspective, it requires some level of skill to achieve. Step 1: Dissolve the potash in water. In a medium sized bowl, pour the potash-water liquid into 2 cups of raw rice making sure it covers and soaks it (Don’t pour in the potash residue). Leave to sit for about 8-10 hrs or overnight. This is done to ensure the potash which acts as a local tenderizer softens the rice while it ferments. Step 3: Wash the soaked rice and blend till smooth with clean water. The batter should not be thick but runny. Step 5: Grease the masa pan by pouring a little vegetable oil in each hole. 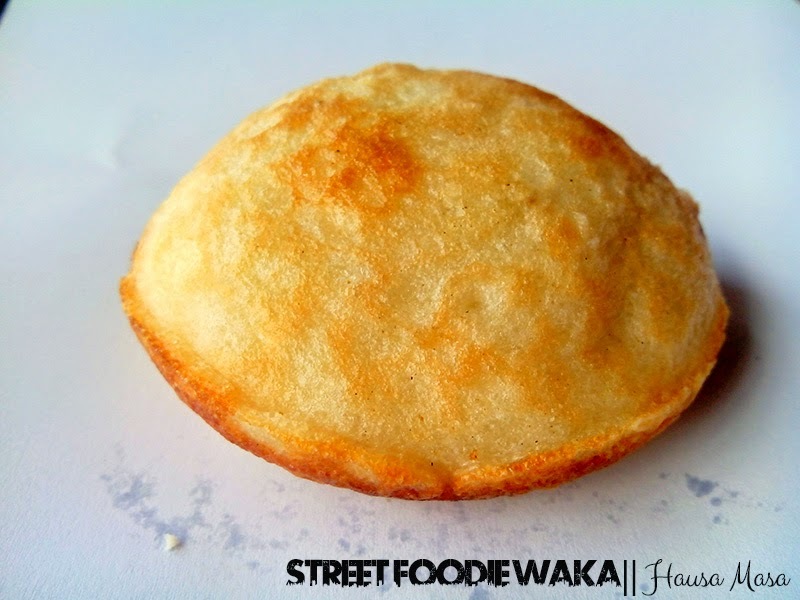 Gently pour the masa batter into the holes and drizzle the top with more vegetable oil. Cook for about 1min till golden brown then flip over to cook the other side.